Market Leading Visitor Management Software, made by Safetynet. Streamline the visitor check-in process with the most comprehensive visitor management software available. This proven solution enables you to efficiently manage your visitors and contractors; pre-registering visits, logging arrivals and departures, and producing statistical reports to monitor activity. SkyVisitor is a scalable solution, specialised for use in the education sector, NHS, food industry and reception management services. 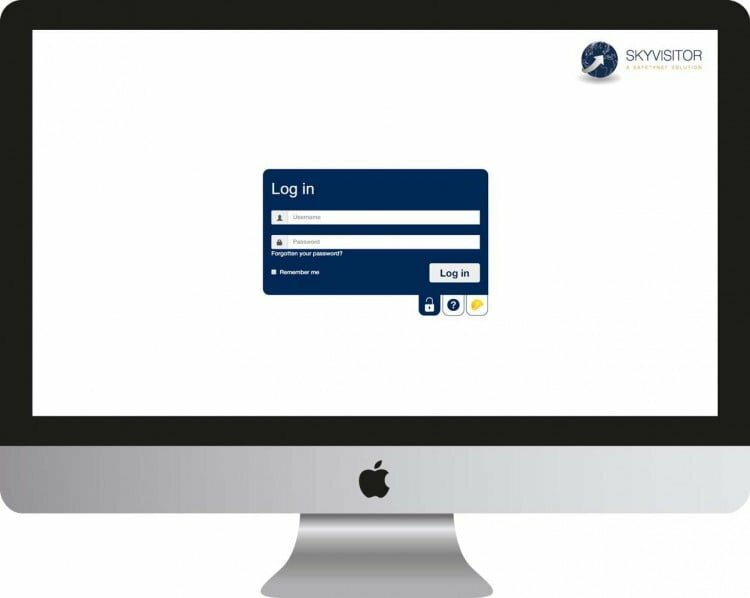 This powerful visitor management software is currently used by hundreds of businesses across the UK and worldwide. The software can be scaled to suit your budget and business needs. Extra features can be added for increased functionality as well as multiple receptions and site locations. Incorporate your own company branding, relevant health and safety information and visitor instructions for a professional and informative system. SkyVisitor is an easy to use system, requires minimal training and can be used on any device (PC, tablet or mobile). This digital system allows you to see who is in your building, provides an accurate audit trail and can generate an evacuation list in the case of an emergency. SkyVisitor provides customised reporting features to enable analysis of visitors and contractors over a period of time. Receive unlimited telephone and remote support from our Technical Support Team.